GSG company, Nähtec, has developed a new handle machine introduced at Interzum 2011. 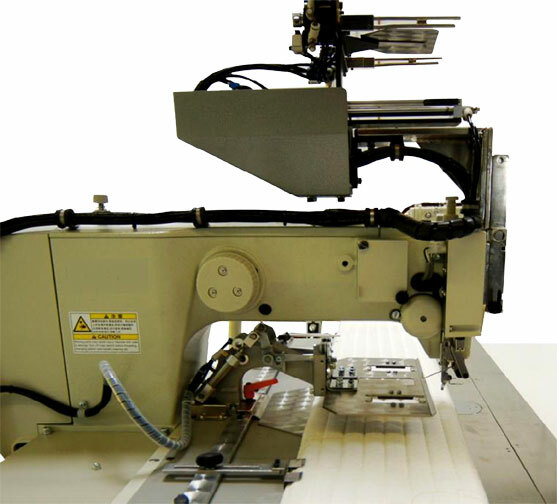 The NC 2030 programmable handle machine can create some of the most unique handle sewing designs in the mattress industry. This automated system is one of the easiest, most efficient handle systems in the market. It deskills operations and gives you a unique styling advantage with creative sewing patterns. ﻿﻿﻿﻿Learn more about Nähtec and other innovative machinery solutions from this creative company here. Contact your local GSG representative for all handle and border systems from GSG. Few can claim to be the fastest in the world, but your looking at one of these exceptions. The Merello ME105 displayed by GSG at Interzum can wrap up to 5 units per minute. I'll say it again - 5 units per minute. Best of all; you get speed AND Merello's proven quality. 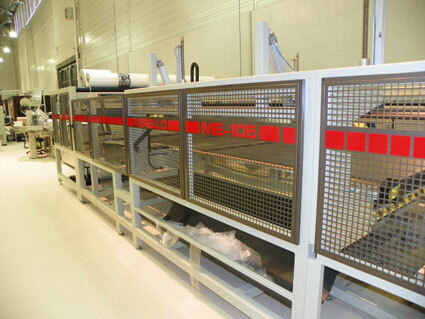 This has technology like the ME104 which has proven to be one of the world's best mattress packaging machines. They both create a clean, tight seal for excellent product presentation and they wrap at high speed rates. 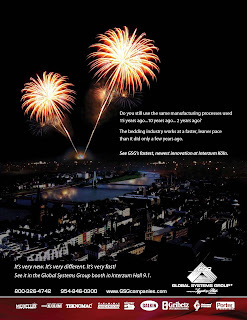 Gribetz International celebrated 70 years of business in 2010. 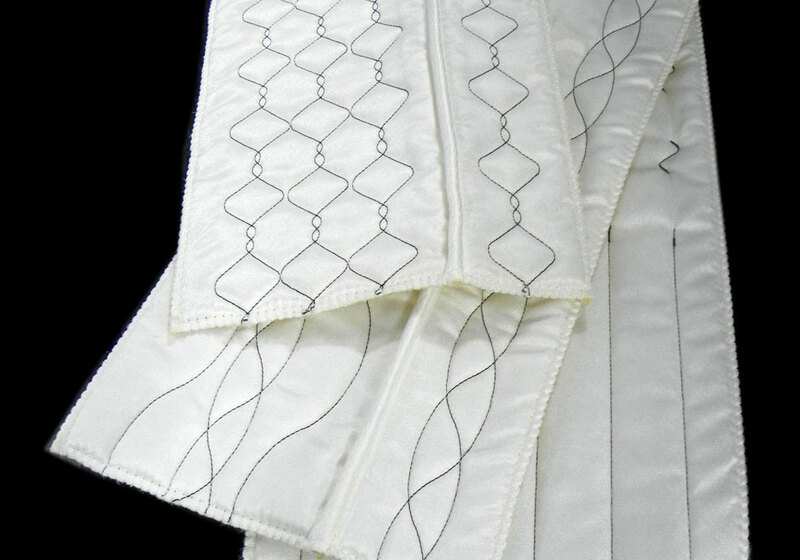 It has grown from a humble quilting operation in New York to become the mattress industry's premier quilt machine manufacturer. The growth has all been a result of responding to the needs of manufacturers like you. 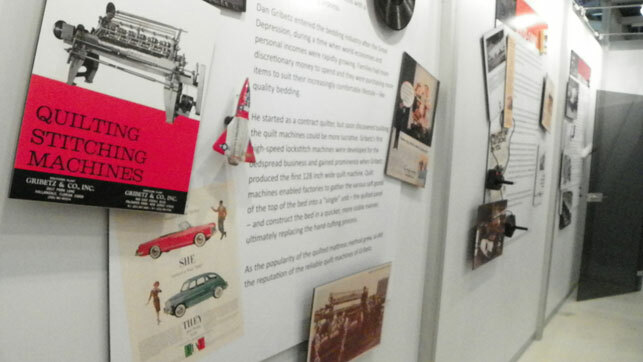 At Interzum, we've created a section of the V16 experience dedicated to Gribetz history. All of this history advancing the technology of mattress quilting has led to the development of the V16, introduced this week at Interzum. Thanks for being a crucial part of this. As previously mentioned, I planned to share some new machine photos and here is our favorite! Our customer from Venezuela, Confort Colchones, bought the first V16 quilter at the Interzum show. Mr. and Mrs. Galsky were one of the first visitors to tour the GSG booth and the unique V16 experience hall (more about that tomorrow). Thank you Confort Colchones for your trust and confidence in our company and service for you. 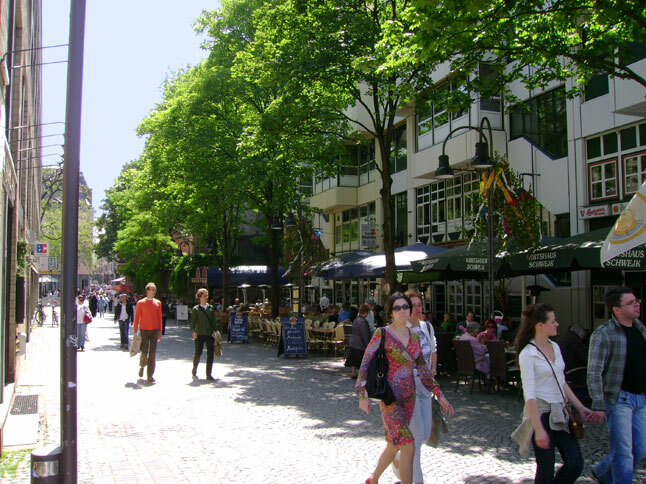 Wow - what a great day in Cologne! We have finally opened the show. 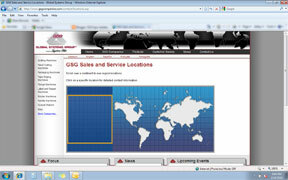 GSG has enjoyed so many fantastic visits with customers all over the world. Many visitors have been impressed with the new Gribetz V16 quilter. The best part is to see the reaction from customers and collegues from all over the globe. The V16 has been a very important part of the successful first day, but 10 other new machines are also getting a great deal of favorable attention. The first day is always such an adventure it is hard to have time to capture all the events - I'll share some pictures and more details later today. Furniture news flashback: 1972. Furniture news fast-forward: 2011. 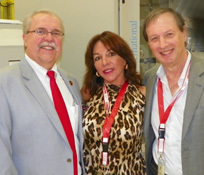 Click Here to read entire Boca Raton News story online. 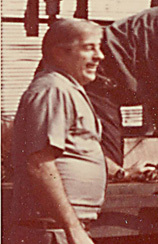 It was an exciting place back then, and Dan Gribetz had just relocated his company to the area. Though Mr. Gribetz was a great visionary in mattress quilting, he probably couldn't even have anticipated the growth and changes ahead for the bedding industry. Ironically, his company would be right in the middle of it. The visionary leadership of Gribetz is making news again. 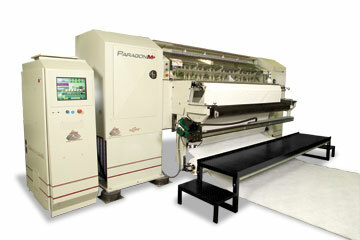 We'll be demonstrating the newest innovation of quilting, the V16, at Interzum. GSG will dedicate a portion of our booth to some historic achievements of Gribetz, but you'll be thrilled to be a part of history when you witness the V16 for the first time. 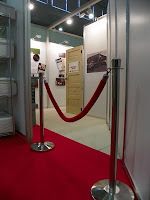 Be a part of industry history in the GSG booth at Interzum this year! Sun-powered plane launches... so does new lean quilt machine! 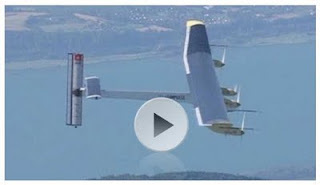 Did you hear about this giant innovative solar powered plane flight today? It's big... it's slow... not exactly what you would consider an advancement in the aviation industry. But you must admire the ambitious courage the inventors have to depart from the ordinary and venture out to explore new horizons. You can only see the V at Interzum! That's GSG's approach to mattress manufacturing technology. At Interzum, Gribetz is introducing a new quilter unlike any other of it's kind. Unlike the solar plane in today's news, this quilter, the V16TM, is lean and fast. Very fast. If your looking for new ways of more profitable mattress production, you must see the "V." You can only see it at Interzum, GSG booth Hall 9.1, Stand C-020. How are your manufacturing labor costs these days? Increasing, decreasing or remaining the same? GSG will be bringing about 40 machines to Interzum - all are designed to reduce your labor costs. GSG equipment can improve labor productivity by either utilizing more automation or increasing piece rate capabilities. The Galkin EFS-100 semi-automatic flange/serging station combines an automated turning arm, photo-sensors and automated indexing advancer to improve product quality without diminishing the operator's productivity. You're sure to get top quality finished panels with a strong X5 flange head without slowing the operator's pace as he would do to match this quality using manual methods. 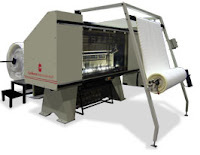 This automated method may also yield additional productivity gains by reducing inspection rejects and ergonomic benefits may enable operator to maintain pace longer with premium heavier quilt panels. 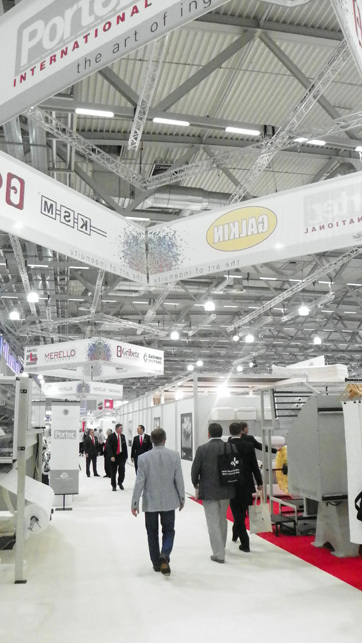 This is the first time GSG has brought this Galkin machine to Interzum so be sure to look for it in the GSG booth. It's only one of nearly a dozen mattress machines never shown at Interzum before. 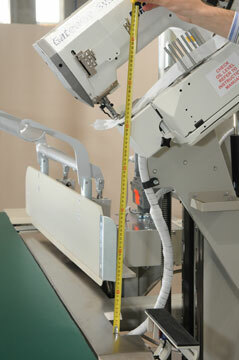 Everyone in mattress manufacturing knows tape edge work may be the toughest - and most critical job in the plant. A bed is just bits and pieces till it gets into the hands of the tape edge operator. 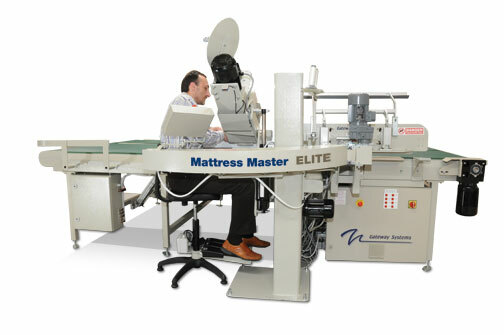 That's why Gateway Systems has created the world's best semi-automatic tape edge machine - the Mattress Master Elite. It is suitable for a full range of mattress sizes, and it has been designed for the most ergonomic tape edge process available. 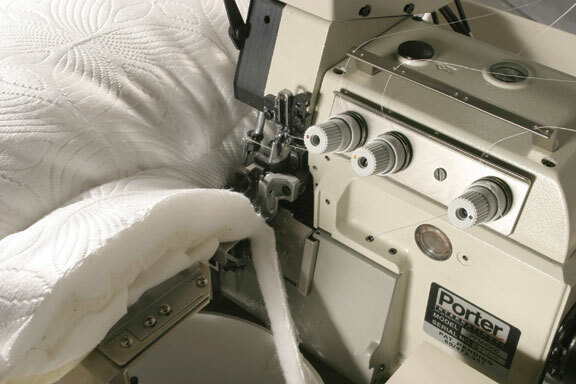 A less fatigued operator can be more productive and maintain a better finished quality for your beds. This machine has been designed around the operator. 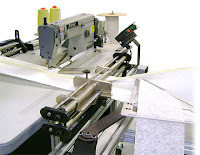 The unique radial turning arm and Pfaff sew head pedestal has been arranged to provide a more comfortable seated position while operating the machine. Stop in GSG booth (Hall 9.1 Stand C-020) and have a seat at the Mattress Master Elite to see the benefits for yourself. 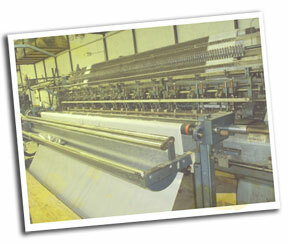 While you're there, see all the other sew room equipment and conveyor systems Gateway has for mattress production. Progress doesn't wait for anyone. 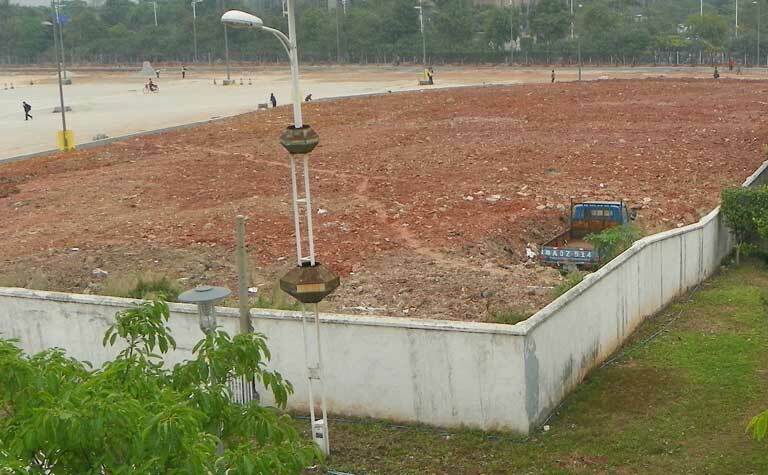 I recently encountered this scene at a Chinese construction site. Upon close inspection, you can see that dirt has been filled in around this truck to the top of its fenders! It's a funny sight, but it also serves as a good analogy of machine technology. If your machinery is operating with dated technology that can't keep up with the fast-changing landscape of mattress manufacturing, you may get swallowed up. GSG is bringing new technology to Interzum 2011 in nearly all machinery types. 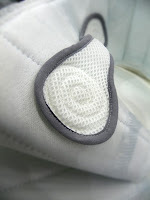 Our newest innovation is a "Must See" for everyone in the mattress industry. See it in a special-purpose display room only at the GSG space at Interzum. That's the latest news in a FurnitureToday article from High Point Market, in North Carolina. Higher material costs must be paid for by someone: you - the manufacturer or your customer. Neither option is ever very desirable, but it's a fact of business. As raw material costs increase, so does the case for lean manufacturing. Lean manufacturing strives to eliminate waste from the manufacturing process. Many of the machines recently developed at Global Systems Group are ideal for achieving such lean manufacturing initiatives. There will be nearly a dozen machines never before shown in the GSg Interzum booth. The latest of these lean machines is a "Must See" for anyone in the mattress industry: and it will only be unveiled in the GSG booth on May 25, 2011. Just how high must fuel costs increase to get manufacturers to re-evaluate shipping costs? Improve your shipping efficiency by loading more units per truck or container. 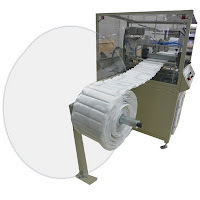 This can be done by using a mattress wrapping machine that maximizes compression to reduce overall volume of packaged goods. GSG partner, Teknomac, will display how this is done at Interzum with their TK306 Roll Pack Machine. The TK306 has a unique method that adjusts for optimal final roll-packed diameter after an initial compression stage. This ensures your final packaged product is as small as possible on the TK306. You may have no control over the rising costs of fuel, but you do have some control over your logistics costs. Take advantage of the opportunity to improve your packaging and shipping efficiencies with the Teknomac TK306 Roll Pack Machine. See the TK306 at the GSG booth at Interzum (Hall 9.1, Stand C-020) or visit the GSG web page: TK306. Most still consider the internet as new technology still in it's infancy. But actually it's been over a quarter century since the first "dot com" name was registered. Technological advancements can be funny that way - sometimes we don't appreciate how long we've been using some "new" technology. 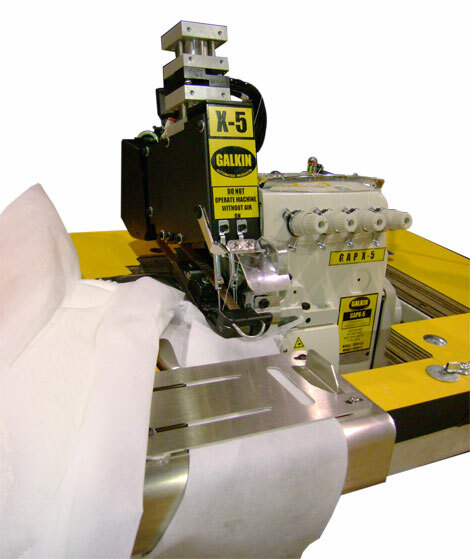 In 1985, Gribetz International introduced their first 3 needle-bar multi-needle chainstitch quilt machine - the DG900. This style of quilter quickly became the standard of the bedding industry. Several DG900's still remain in use today. 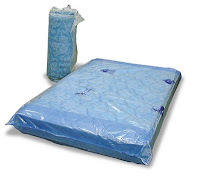 Symbolic.com, the first registered .com name, has faded into obscurity for most, but Gribetz International remains an icon of leading-edge technology in the bedding industry. See current Gribetz quilt machines here, and visit the GSG booth at Interzum to see the most diverse line of quilters ever displayed at one time. We'll also pay tribute to the long, innovative history of Gribetz International in a special display in our booth, Hall 9.1, Stand C-020. Lamborghini recently debuted it's latest high-speed sportscar at a European car show. It does a a top speed of 217 miles per hour, but only averages 13 miles per gallon of gas. 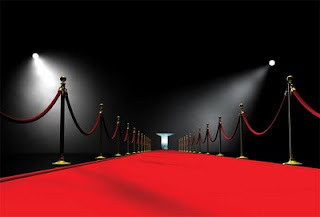 GSG will unveil our latest high-speed "super-machine" at Interzum Cologne 2011. Like the Lamborghini Aventador, it's designed for high-speed performance, but the difference is: it's designed to be much more efficient - like the lean manufacturing operations it may be placed in. Admittedly, this new GSG machine is not as glamorous as a high-end Italian sportscar, but it won't cost as much either. It doesn't have vertical Lambo doors, but there's alot more you'll be impressed with when you see it run. Meet us at 9:00 am on May 25th, in Hall 9.1 Stand C-020, for the unveiling of the newest, fastest innovation from GSG. If there's a niche, scratch it! Even within a world economy still recovering from the recent recession there are pockets of great growth. The mattress industry is a lot like that too. There are niche markets that supersede general market conditions at a faster pace than others. Have you found your niche that will jumpstart your mattress business? Whether it's simply more efficient lean manufacturing processes or creating new product lines based on unique, creative bed features, GSG will have equipment at Interzum that may help jumpstart your business. The Gribetz Axiom is an example of both efficient and creative. 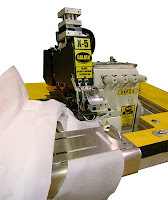 This multi-head quilt machine sews at 1600 RPM with the efficiency of a multi-needle quilter and the styling creativity of a scrolling single-needle machine. to create these exciting new borders. Find your niche at Interzum Hall 9.1 Stand C-020 in the GSG booth. How productive will your mattress factory be between now and Interzum? 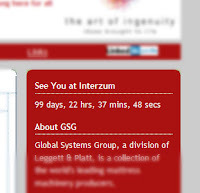 If you are following along with our countdown clock in the right hand column of this blog page, you'll see that as of today there are only 99 days till the start of Interzum 2011. Here is a simple exercise to make your trip to Interzum more productive for you. We encourage you to visit Interzum to see all the newest innovation GSG has available, but this will give your trip a more specific sense of purpose. As a mattress producer, you probably have a pretty good idea of how many beds your factory makes each day. Write that number down right now. About a week before you leave for Interzum, check your figures and see if your factory has produced the number you expected by that time. If it hasn't, see if you can determine what slowed down your desired production rate. If you can isolate a specific machinery-related area that needs improvement, meet with your GSG rep at booth C-020 in Hall 9.1 to discuss the machinery options we have to help you. visit our GSG locations page to get in contact with your local representative now. ﻿﻿This little exercise may seem too trivial for some. Most have a general idea about their capacity, but this will give you a finite time frame to study and reveal current manufacturing issues to investigate at Interzum. When you are making the effort to travel all the way to Cologne and see machines you may not see in person anywhere else, why not arm yourself with the most relevant knowledge about your factory to make the most out of your trade fair experience? See you in 99 days! 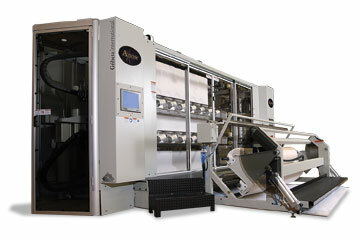 40 GSG machines can answer alot of questions. 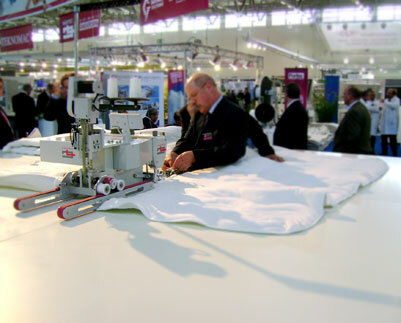 I was just adding up all the new mattress machines GSG will be showing at Interzum 2011. We have a space that's bigger than ever and it is full of machines. We'll have about 40 machines there; about a dozen that have never been shown in the GSG space at Interzum! 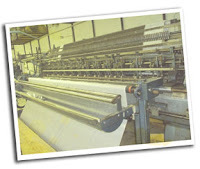 Where else can you go to see innovative equipment for nearly every part of a mattress factory? Where else can you see the world's two top flange machines in the same space? Where else can you see the most diverse line up of mattress quilters from the world's leading quilt machine maker together in the same space? 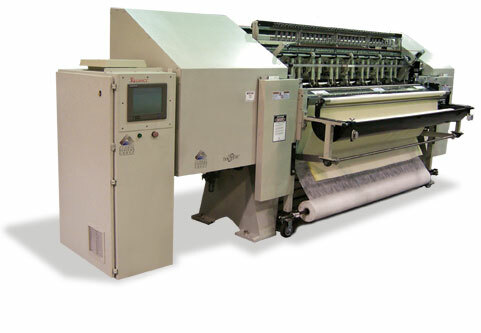 Where can you find out about these quilt machines right now? The Gribetz quilter web page - that's where! 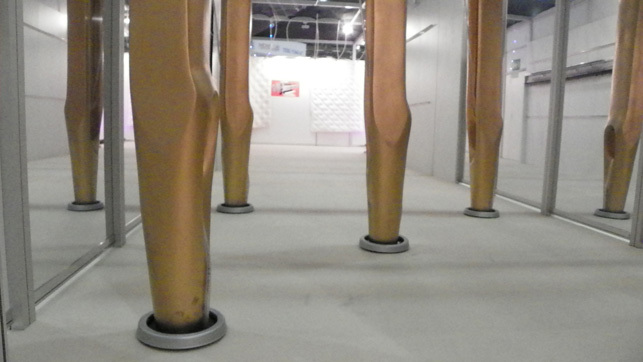 Where do you find all of this and more at Interzum? 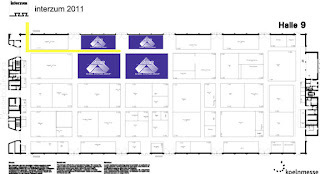 GSG booth C-020 in Hall 9. See you there May 25-28. Germany in May never looked so good! 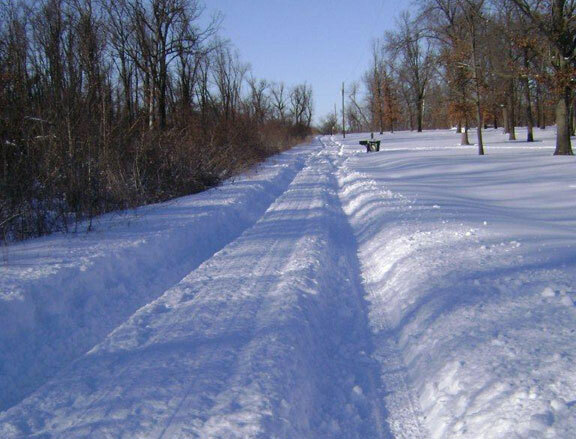 This snowy scene is a view on my road today where we just received a near-record 18" of snow. 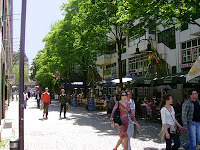 By contrast, the accompanying sunny street scene is a typical May afternoon in Cologne, Germany. Looks good in Cologne, doesn't it? Here is another pair of contrasting images. 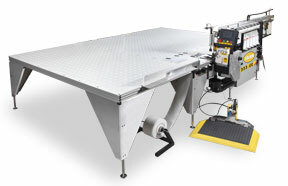 In the GSG booth at Interzum we will have both the Porter PFM-4000 Flanger and the Galkin X-5. They are both premier mattress flange systems, but one operates with powerful "walking foot technology" while the other utilizes a strong belt-driven system. They will be side-by-side in our booth so you can better compare their performance. ﻿﻿﻿﻿﻿﻿Just like experiencing a record snowfall, pictures don't do these machines justice - you really need to see them in person to fully comprehend their capabilities. See them at Booth C-020 in Hall 9.1 at Interzum 2011. Global Systems Group will be in Hall 9 again at Interzum. It's the orange building shown in the diagram below, courtesy of Interzum. If you have been there since they opened this new building in 2007, you'll be familiar with our location, C-020. 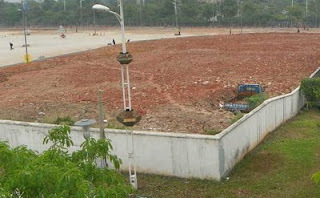 It is the same space we have occupied since that time. We've actually expanded the 2009 space to make sure you don't miss anything good. We want to make equipment selections easy for you. 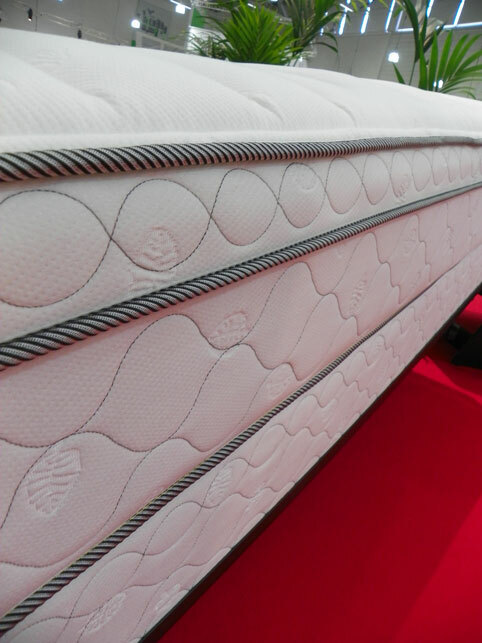 So we are bringing a broad selection of our products - that way you can see a little bit of everything your mattress factory would need in one place. Do you want to see something different at Interzum? ﻿﻿﻿﻿This photo is shot straight up from inside the top of one of the cathedral towers when I was at Interzum 2009. ﻿﻿﻿﻿﻿Here's something else you may have seen from a new angle had you been at the GSG booth that year. 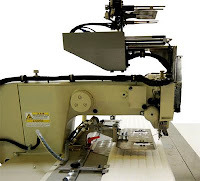 The Naehtec NC 1200 Zipper Machine has a unique innovative pedestal design the puts the sewing head and operator right in the center of the zipper sewing operation. It's fast, it's ergonomic and it is was only found in the GSG space. Naehtec is a very innovative GSG company and they will be bringing more new equipment to Interzum 2011 in May. 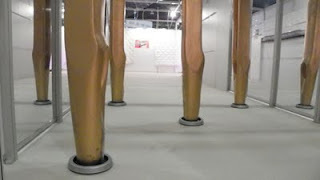 When you visit the GSG booth at Interzum this year, you're sure to see things differently when you're done. 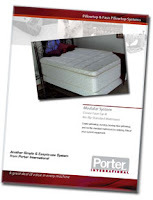 Mattress manufacturing has changed dramatically in recent years. GSG has responded to your changing needs with a new perspective on mattress machinery. The GSG booth will be filled with new equipment - and you're going to see something like no other machine in the industry! 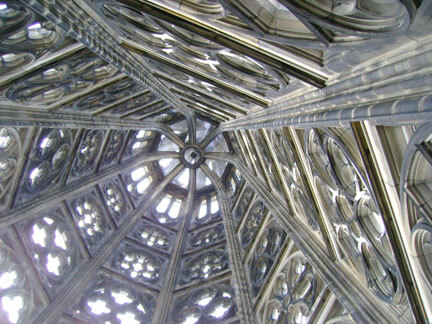 The Kölner Dom Cathedral, an icon of Cologne, Germany, is an amazing entity in itself. 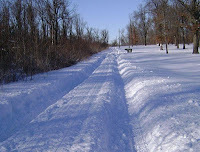 It has endured centuries of various occupying cultures and weathered many storms and battles. Another perspective that makes it such an admired part of the city is it's unique juxtaposition of style in the heart of a changing city. Neighboring buildings have grown up around it composed of modern glass and metal beams, while it's own ornate carved stone construction remains a testament of time-honored design. ﻿﻿GSG company, Gribetz International, is a bit like that as well. 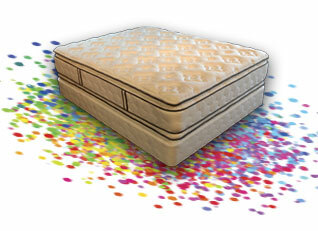 In 2010, Gribetz celebrated 70 years of mattress industry innovation. Seventy years is a remarkable record in this industry. Just like the cathedral, Gribetz quilt machines are made to last and built on a strong foundation of innovative technology. We'll celebrate the rich history of Gribetz in a section of our booth dedicated to this innovative industry icon. Please join us. See more info about the ProSlit on our home website, http://www.gsgcompanies.com/, or see it live at Interzum 2011. It was such a hit last time - we have to bring it back! 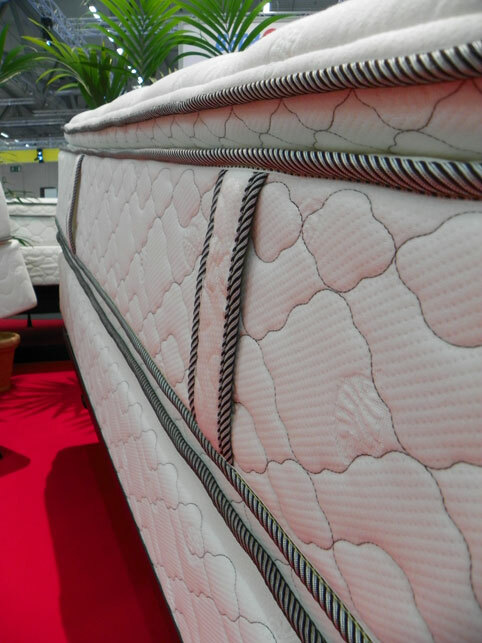 There will be more new, exclusive machines introduced at Interzum 2011, so be sure to be there in May to get the first look at the latest, most innovative equipment in the mattress industry. See more mattress machinery trade show news at www.gsgexpo.com home. It's nearly show time, and GSG has so much for you to see at Interzum Cologne! 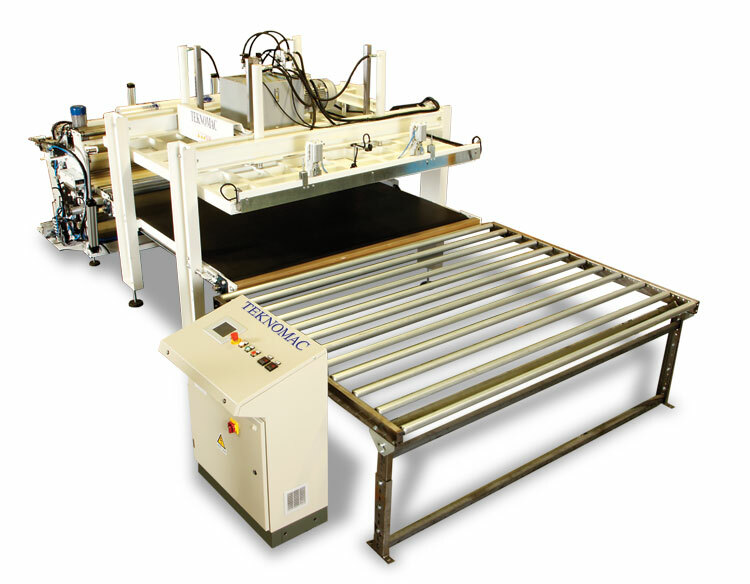 GSG will be displaying and demonstrating many new machines to help your mattress operation run better than ever. If you had the opportunity to follow this blog during the ISPA EXPO 2010 trade show, you'll know we'll keep you abreast of news and updates before and during the show. We hope to see you in person in Germany, but if you can't make it - keep yourself informed through this website. Interzum is all about bringing ideas to life - so much so, we've made that the theme of our show. You bring your ideas, we'll bring our ingenuity and see what we can accomplish. Your bed is your masterpiece, GSG equipment is your palette. If you have an idea that can't wait till May, visit our GSG website to find a GSG rep in your area to visit with. We'll share some exclusive machinery details only found at http://www.gsgexpo.com/ in upcoming posts, so follow up regularly. 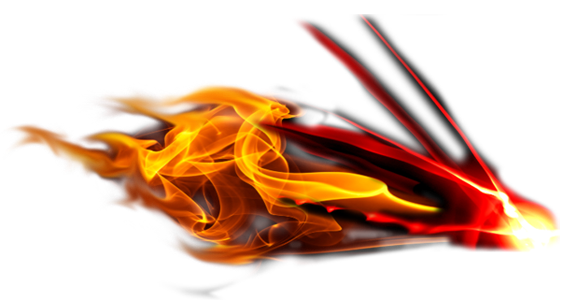 Hey - we'll make it easy -sign up to receive these post through email or RSS feeds by signing up at the bottom of the right hand column on this page. 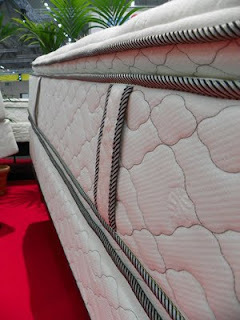 Learn more about mattress machinery trade shows at www.gsgexpo.com home.